If you’re a first-home owner building a new property, you may be entitled to the first-home owner grant (FHOG). The amount for this one-off grant varies by state. You may also be eligible for stamp duty exemptions or concessions, so be sure to check what’s available in your state. Remember, stamp duty can run into the tens of thousands of dollars, so an exemption or concession could save you a lot of money. You can find details about state-specific incentives for first-home buyers here: http://www.firsthome.gov.au. Being a DIY owner-builder can potentially save you money. However, mistakes may be time-consuming and costly if you don’t know what you’re getting into. 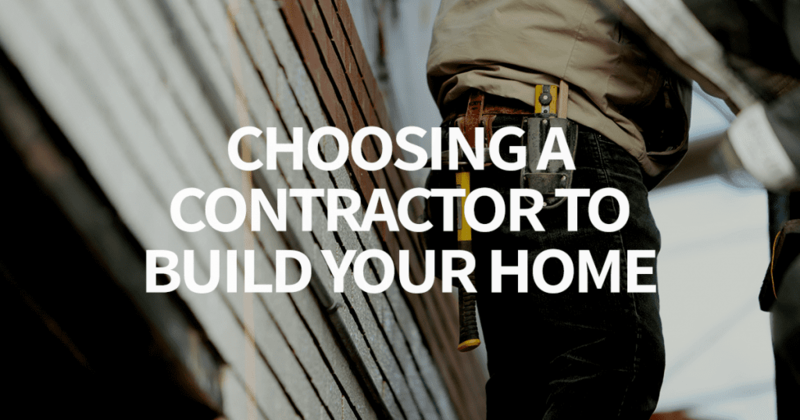 If it all seems too hard, it’s probably best to hire a contractor. These professionals can take care of the entire building process for you. Production builders (volume home builders): Often offer home and land packages with predesigned homes. You can usually walk through a model home to get a feel of what to expect. This option may be cheaper than custom-building your home. Custom builders: If you want to design your home from scratch, you’ll need a custom builder to create something totally unique for you. Semi-custom builders: These builders work off a plan, but you can adjust the plan and customise it to some degree. Ask to tour similar homes they have built to check the quality of their work. Ask plenty of questions. You’ll want to know about everything from the materials they use, to the type of warranties you’ll receive upon completion. Check online reviews and request referrals. Know what you want. If you require something specific like a built-in cellar for your wine collection, you’ll need a custom builder rather than a production builder. Square foot pricing is based on an average price for each square foot of space but won’t necessarily cover all the costs. Assembly pricing is more realistic and looks at the cost of building each component. Unit pricing covers the cost of all the supplies for the build, so it’s the most accurate type of method. Find out how the builder accounts for unforeseen expenses. Do they build a buffer into their bids? If not, ask what will happen if they go over budget. Have your conveyancer check the paperwork before committing to anything. Most home builders require a construction loan. Construction loans are different from regular home loans. Instead of getting the money in a lump sum at settlement, the lender releases portions of the loan in stages as the property is built. During the construction phase, you usually pay interest-only. Once the property is completed, the loan converts to principal and interest. Building your own home is exciting and nothing compares to finally seeing it finished! If you’re ready to get started, talk to your mortgage broker about the right construction loan for your needs. They can help you find a competitive option that fits with your particular construction plans and maximises any grants you may be eligible to receive.